We are most delighted and excited to launch PostcardUnited and are thrilled that You, yes You have joined us here. 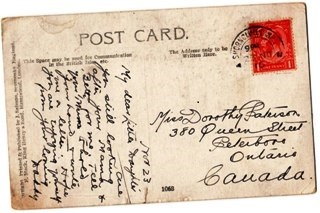 Postcard United is an online community for uniting and building happy relationships between people from all walks of life around the Globe through the sending and receiving of real postcards. Here we are bringing together and uniting two very special elements, these are people and postcard. We would like you to embrace this new age with us where we are combing two worlds, the world of People and the world of Postcards. Think of it like a modern day Pen Pal utilizing the virtual world and still connecting with people from all walks of life around the world by sending each other Postcards.